Things I liked: These pellets are nice and clean with no deformities. 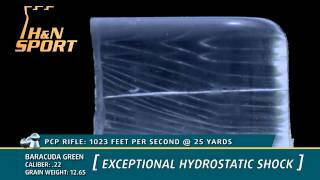 What others should know: I was using the Sig Sauer Wraith Ballistic Alloy, 6.48 grains .177 Pellets for a few years and found that spending $23 for 300 pellets was just waaaay too much. 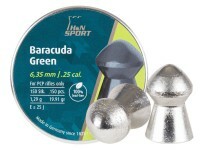 So I found something more suitable, these almost IDENTICAL IN EVERY WAY, H&N Baracuda Pellets!! The only issue is that theyre not so cheap either. Although I am saving $6 dollars on every tin, $18 when I buy three. 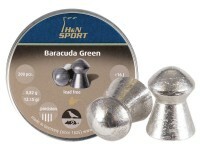 The simple difference between the Sig Sauer Pellets and the H&N Baracuda Pellets are a simple .16 grains! Things I liked: Good but not up to their lead counterparts. 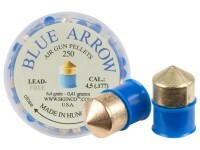 Things I would have changed: Make a heavier lead free, 8 grains. Make them palatable price wise. 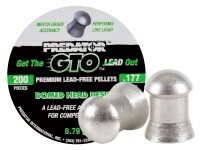 I bought these for the obvious reasons of lead free indoors and with kids. What others should know: Accuracy is not what I had hoped. 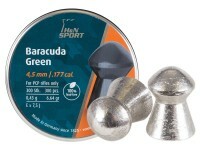 However, I can put together good strings from my Gauntlet, just not hole in hole with other lead pellets. It drops my PCP to that of a good springer that every now and then reaches lead accuracy. Why does it state that these pellets are for PCP rifles only on the tin, when in the reviews for these pellets, air gunners claim that they have used these specific pellets in their spring and or CO2 Airguns? They can be used in other power plants, but because of the light weight, H&N only recommends them in PCPs. The concern is that in a spring or gas ram gun, they are not heavy enough to cushion the piston which can damage the gun (simulates a dry fire). I see nothing wrong with using these in CO2 guns. Yes they fit well in the rotary magazine.